Anxious residents on Spain’s east coast around the Bay of Valencia want answers after the government admitted there was a link between two weeks during which the region has been shaken by 300 minor earthquakes, and an offshore gas storage scheme. equivalent to 30% of Spain’s needs. But it is close to the Vandellos nuclear power plant, and several towns and villages. “I was at home with my elder son when we felt it. We looked at each other and both said , this is an earthquake,” said one woman. “The lamp started moving and so did our bed”. “It was just a few seconds, but it was quite a strong movement”. “It was scary,” said a retired couple. There were 20 tremors on Wednesday night alone, and this despite the fact work on the project was halted several days ago. “There will not be any activity in the plant until we’re100% sure that there’s no risk for the population of another earthquake,” says the infrastructure advisor for Valencia’s regional government Isabel Bonig. The Castor rig has already pumped out seawater from the undersea cavity, and has injected a cushion gas prior to filling with liquified gas. Environmentalists, who have fought the European Investment Bank-supported project since 2007, are furious their seismic warnings went unheeded, and that no seismic study was ever made. “The gas injection would have caused a first group of small magnitude earthquakes and all this tension has probably moved the existing geological faults generating a bigger movement,” says Barcelona University’s Mariano Marzo. Although the recorded tremors are small, one on Wednesday night measured a magnitude of 4.2, the highest ever recorded in a region not known for seismic activity. Worse, say environmentalists, Castor is located near a major fault line, although the project’s managers have yet to comment on this claim. 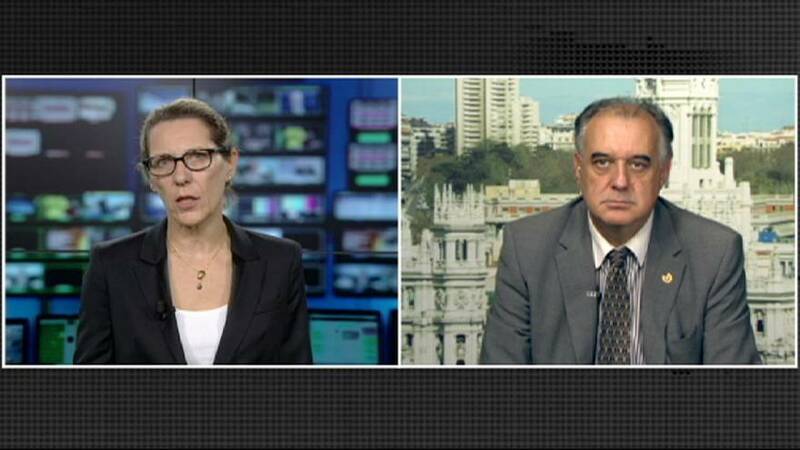 To try and understand what has caused the earthquakes in the Mediterranean coast between Castellón and Tarragona, euronews correspondent Beatriz Beiras spoke to the president of Spain’s College of Geologists, Luis Suárez. First of all, can you explain what exactly the Castor plant offshore gas storage project is? The plant uses a depleted oil reservoir which was in use between 1973 and 1989 and where 56 million barrels of oil where extracted. Now they want to fill it with gas in order to have a reserve in case of supply problems in the Iberian peninsula. The plant is designed to supply gas to Spain’s national grid for 50 days. And by the way, the OECD has recommended all member countries to stock enough gas to last a minimum of 92 days. Can a link be established between the earthquakes and the gas storage? We’re talking about a region where there has never been a series of quakes of this magnitude. What’s more, all the epicentres and hypocentres of the earthquakes are situated around the gas wells. Therefore there are reasonable clues for establishing a link between the injection of gas underground and the earthquakes which have happened. But what is the reservoir like? Is it like an empty cavity? In reality, it’s a sort of sponge that instead of absorbing water, absorbs gas, It’s a sponge of calcium rock which is full of injected gas instead of the oil which has already been extracted. It’s not a cavity, but very small pores in the rock in which the gas is injected. So, there have been eathquakes of 4.1 and 4.2 on the Richter scale…people are pretty worried about it. There’s even concern about the two nuclear plants, Vandellos and Asco which are relatively close. Do you think people are right to be worried? In the next two or three months there will be small tremors, of less than 4.1. And it’s very unlikely that there will be any as strong as 4.2. As far as the nuclear plants are concernced, in Spain, Cofrentes and others in that area, like Vandellós, were designed to withstand earthquakes much stronger, of a magnitude of 6 or 7. So frankly, it’s unlikely.